Casket Fairprice is a trusted funeral service Singapore brand, and has served thousands of families since 1993. We are a one-stop funeral services that operates our own in-house funeral parlours, embalming facilities, hearses and a dedicated team of full-time staff. Our company employs modern service methods while adhering to local funeral tradition and customs. We pride ourselves as a caring service provider committed to personalised service that gives comfort to the bereaved, and a dignified tribute for their departed loved ones. Our company has a transparent pricing policy, and include pricing of our funeral packages on our website for you to review. The contents within the packages are clearly itemised, so you know what you are paying for. We endeavor to keep our prices as low as reasonably possible, in the firm belief that quality service should not come at a premium. We honour what we advertise and quote. Our promise is to offer our products and services at fair and reasonable prices. We also have CaseTrust accreditation to further assure consumers of our best business practices, commitment to fair trading and transparency. 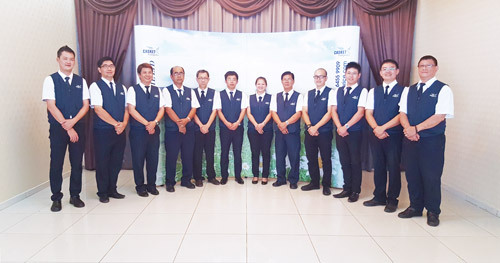 Casket Fairprice is a member of the Association of Funeral Directors Singapore (AFD), which is officially recognised by the National Environment Agency (NEA) and comprises of companies with reputable standing in the industry. Therefore, we are bound by a strict Code of Conduct to uphold the highest professional standards and ethical principles in providing meaningful end–life services with utmost care and respect for the deceased and their families. 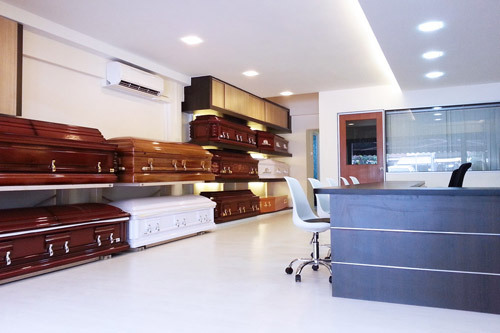 With Casket Fairprice, we truly provide you a complete peace of mind. At Casket Fairprice, we are committed in providing professional funeral services to bereaved families at a reasonable and transparent price. We strive to work with the utmost care, respect and professionalism, affording every family the individual attention and quality service they need and deserve. 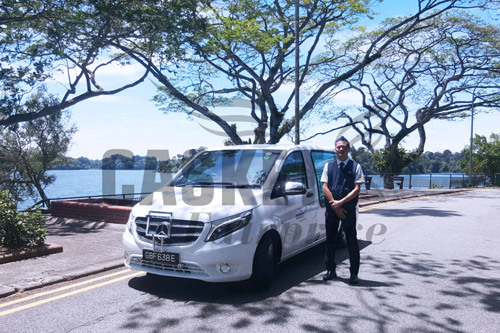 Our company aims to be a Singapore funeral service provider of the finest quality that every family can rely on in their time of need. When you’re planning a funeral, you want to ensure that you’re making all the right choices. Making those important decisions for a funeral can be a confusing and overwhelming process, especially during a time of bereavement. That’s why you need the right team behind you, offering support, guidance and those much-needed gentle suggestions. 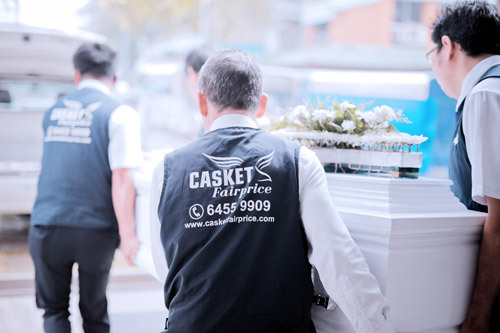 At Casket Fairprice, we offer an experienced, tactful and caring funeral director and undertaker service in Singapore. Every life is unique, and so every life well-lived deserves a unique funeral. We will work with you to create the perfect funeral or memorial service that will be fitting for commemorating the deceased perfectly. From the funeral service and casket to the flowers to the music, photos and slideshows, we can help you create that flawless embodiment of the life in celebration. No matter what you have in mind, whether it’s big or small, we can accomplish it by working alongside you. We really take a caring approach and will add that personal touch to the process. We always put the client first, so you feel you are getting the attention you deserve throughout it all. Just read our testimonials to see how we have made a difference for so many bereaved families. At Casket Fairprice, we are a funeral parlour that understands the sensitivity and empathy needed to make the funeral-planning process and execution go smoothly. If you require further information on our services or how we can tailor a beautifully personalised funeral or memorial service, give us a call and we can chat about your needs. Contact Casket Fairprice to organise every aspect of a memorial service or funeral.